Whether you are a novice investor or an experienced active trader, Firstrade’s $0 Commissions is a benefit to all investors. Firstrade offers an industry leading commission free trading for all online stocks, options, and mutual funds trades! 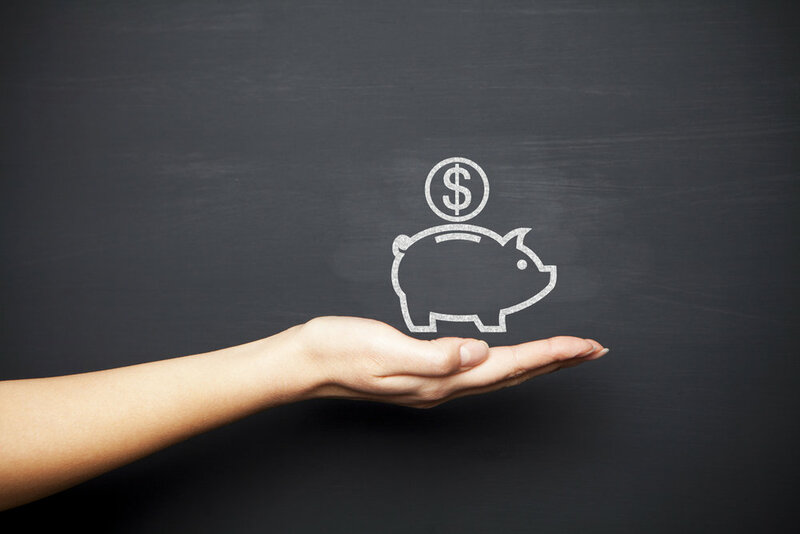 Novice or small investors will greatly benefit from $0 commissions as trading costs generally eat into a large percentage of the cost of each trade. By having $0 commissions, traders can trade without commissions eating into their profits. Furthermore, Firstrade does not require a minimum deposit to open an account! This provides an ideal environment for new traders to develop their skills and trade small while learning the “ins and outs” of the market with no additional transaction costs! Options traders are one of the largest beneficiaries of $0 commissions at Firstrade which includes both the ticket charge and the per contract fees. Options trades tend to involve a smaller capital requirement, however that typically means commissions represent a greater percentage of the total trade, impacting potential profits and losses even more than equity trades! Experienced investors can find value through significant cost savings over time when they trade for free. Active traders making multiple trades a day can incur high cumulative trading costs with other brokerages who charge commissions. Firstrade provides an ideal solution for active investors looking for no cost when trading. The table above illustrates the cost saving benefits of using a Firstrade $0 Commissions trading account. While the lost premium percentage does decrease when a higher number of contracts are sold, investors with smaller accounts will find the impact of trading costs to be significantly higher. 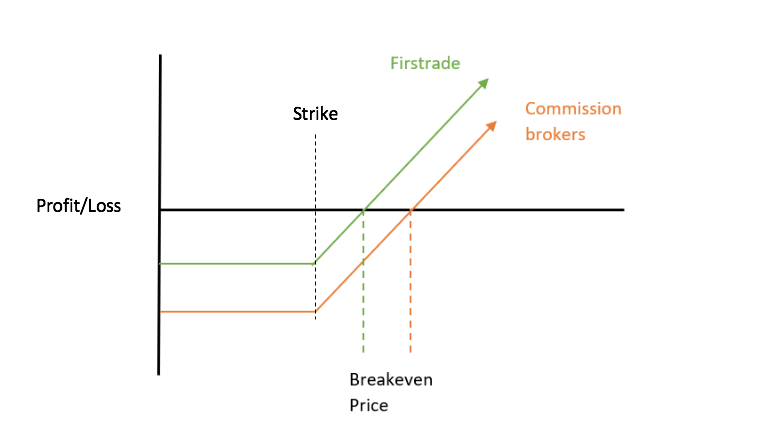 Additionally, commissions also negatively impact the breakeven price for a long options trade as shown below.